SYDNEY: More than five thousand people had breakfast together Sunday October 23, 2011 morning on Sydney’s Bondi Beach. The famous Australian beach transformed into the biggest breakfast table in the world. An orchestra even played classical music throughout the meal. 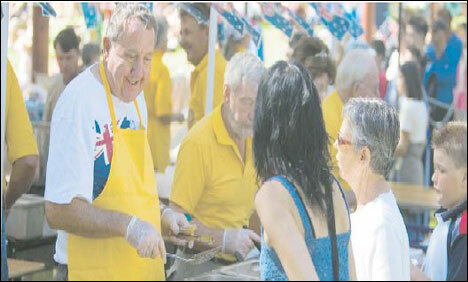 Sydney holds the huge breakfast party every year, as part of the annual October "Sydney International Food Festival."